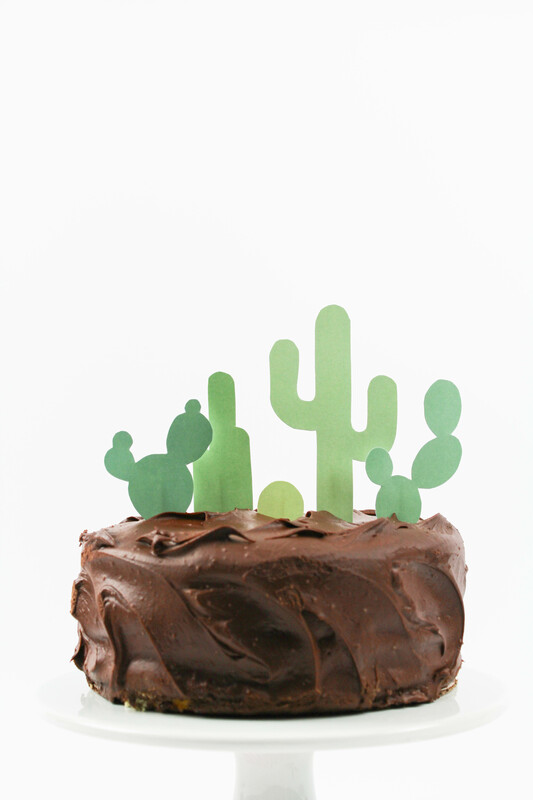 Since I don’t have my own cactus garden here, I might as well create one for the top of my cakes, right? 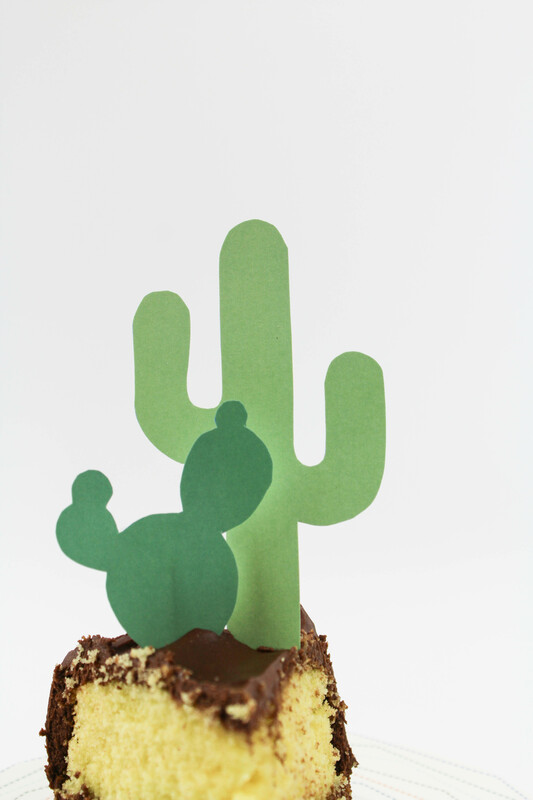 This printable cactus cake topper would also make the PERFECT addition to a cinco de mayo themed dessert! 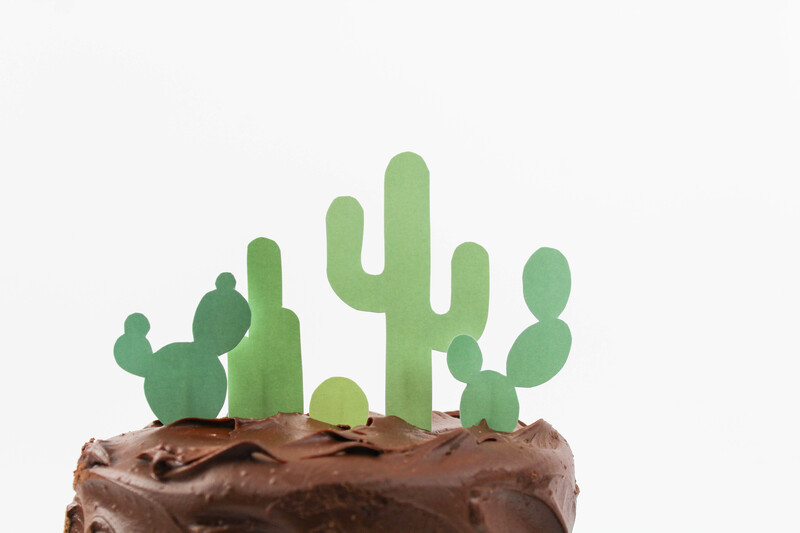 This printable cactus cake topper couldn’t be any easier to make. 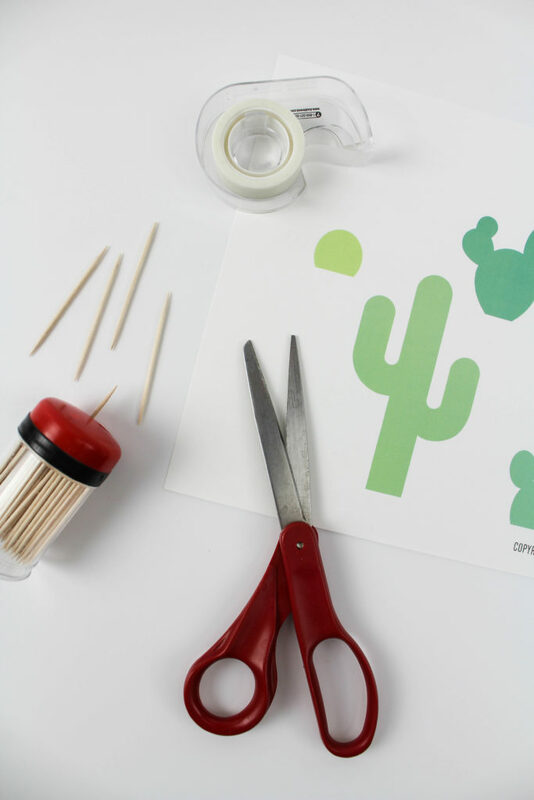 First, print out the file and cut out each individual cactus. 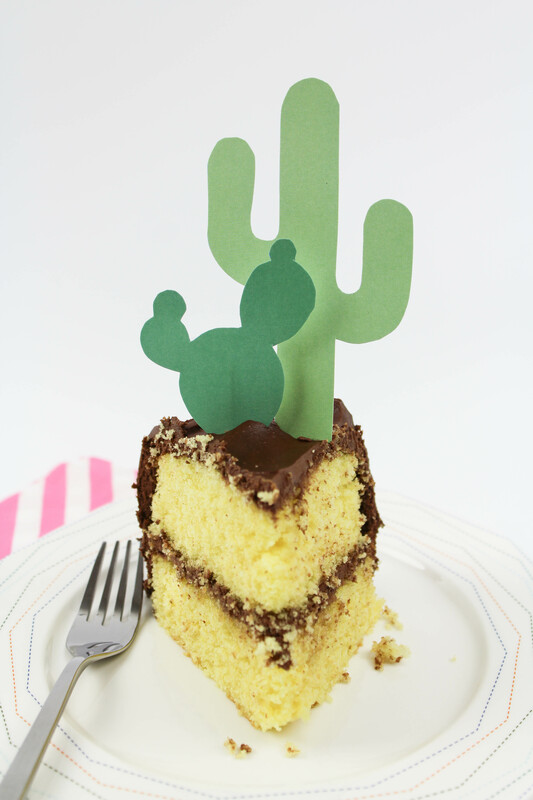 Using tape, secure a toothpick to the back of each cactus, leaving enough of the toothpick sticking out of the bottom so that it can be secured into the top of the cake well. Depending on your cake size, press all, or some of the cactus toppers into the top of your cake. 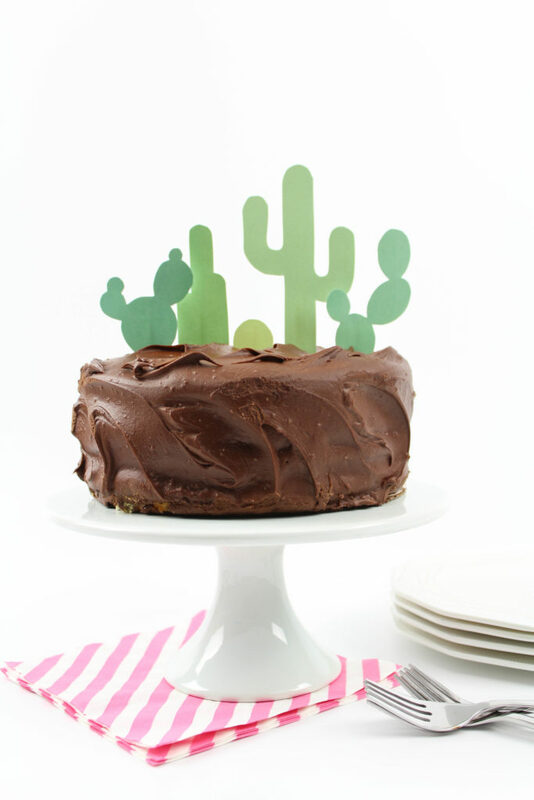 The cake in the photos is an 8″ round cake and that size will fit all of the printable cactus cake toppers perfectly. If you are using a smaller cake or even cupcakes, simply use less of the toppers for the same effect. I have no shame in my cactus loving game and I have a feeling you guys will love this easy and fun party project too! Now let’s talk about the really good stuff…what flavor of cake are you going to use these cuties on?